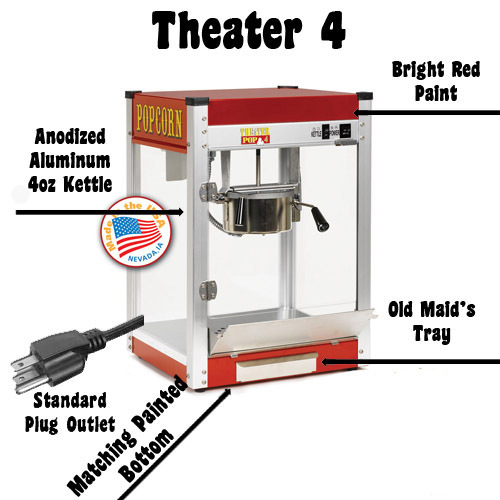 Paragons Theater Four popcorn machine is features all the features of the larger machines. A small foot print and anodized aluminum kettle keeps the popcorn coming. 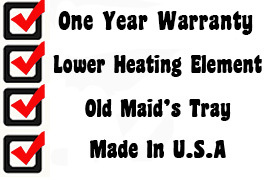 A lower heating element keeps the popcorn warm all day and the old maid's pull out drawer keeps the unpopped kernels from getting into the popcorn. 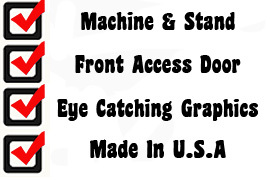 Switches are on the back of the machine for easy operator use. 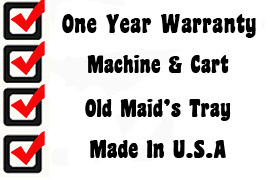 This machine offers a Lifetime residential warranty.